I made this Firebloom farming guide to help out players who want to farm the herbs instead of buying them from the Auction House. It's recommended to have around Herbalism 205, so you won't get herb fragments. Firebloom can be found in hot regions, most frequently Tanaris, Burning Steppes and Searing Gorge. The best place to farm Firebloom is Burning Steppes. It's really easy to follow this farming route, you just have to follow the small patches of lava in the zone. 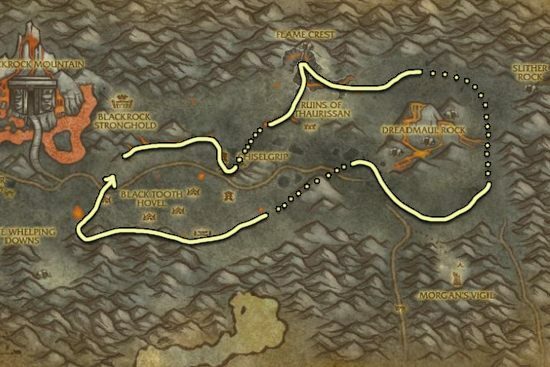 NOTE: If you only pick Firebloom and skip every other herb in the zone, or you have a mount that let's you gather while mounted, then you will probably finish one lap too quickly and you will have to wait for herbs to respawn. Firebloom randomly respawns between 5-8 minutes, so if you can do one lap under that, you will have to wait, or you can just go to Searing Gorge, since it's really close. Same as with Burning Steppes, the zone is so small you will probably have to wait for herbs to respawn if you farm too fast. 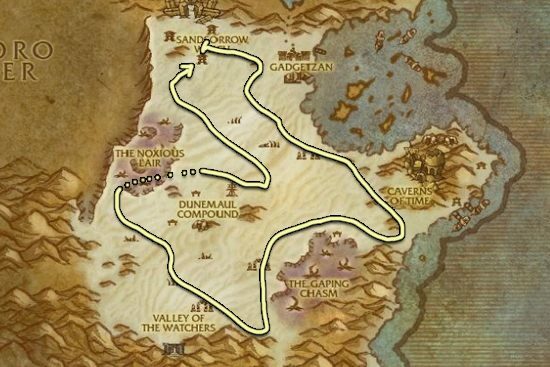 Or just go to Burning Steppes after one lap, and alternate between these two zones. Tanaris is bit larger so you should be able to farm here without waiting for respawns. 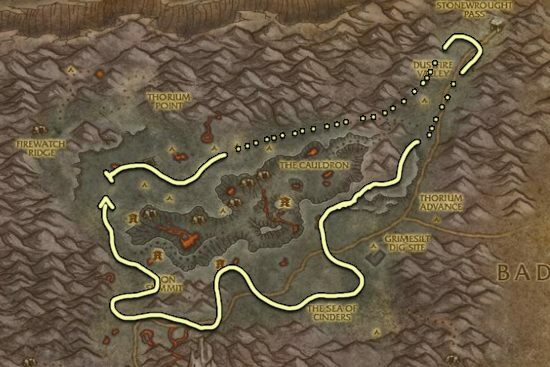 This zone is not that much worse than the previous two mentioned if you compare them one by one, but since you can alternate between Burning Steppes and Searing Gorge, they are the better choices.